Can we read this as a very expensive winter? That in addition to the other ways we can describe this winter. 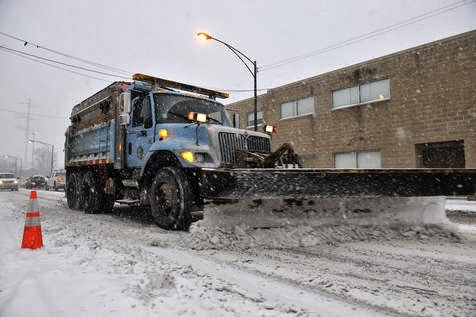 Chicago has already plowed through $25 million in snow removal spending — $4.5 million over a budget that was supposed to cover this winter and the start of next — exacerbating the city’s financial crisis. Mayor Rahm Emanuel has dipped into a $6 million motor fuel tax fund surplus to cover the extra spending, leaving only $1.5 million in the fund that has served as the mayor’s security blanket during the relentless barrage of snow and cold. Normally, the motor fuel tax fund is used to pave streets and fill the explosion of potholes caused by heavy moisture and dramatic temperature swings. Emanuel has been “working to improve” the fund “with the purpose of creating a snow reserve,” sources said. Once the surplus is exhausted, the mayor may have no choice but to ask the City Council to approve a supplemental appropriation to cover snow removal costs. “This is the snowiest winter in 35 years — worst since the blizzard of 1979 — and is the seventh-snowiest in history,” Kelley Quinn, a spokesperson for the city’s Office of Budget and Management, said Wednesday.